Is It Too Early/Late to Buy Life Insurance? As you may know, the best time to purchase life insurance is when you are young, in good health and have dependents. At this stage of your life, you’ll often be able to lock-in low premiums for the duration of your policy. For various reasons however, a fair number of people won’t purchase life insurance in this “sweet spot.” Even if individuals don’t buy life insurance in this ideal window, many will still seek to obtain policies later in life. Due to this, you might wonder if it is too late (or too early) to get life insurance whenever it is that you begin to consider buying it. Most likely, you’ll always be able to get a life insurance policy if you want one. 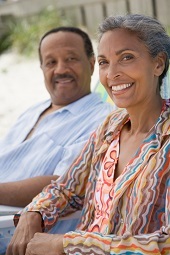 While some insurance companies may have an age limit of 85 or 90, others do not. Even if you didn’t have a life insurance policy when you were younger, you may decide to purchase one later in life to cover funeral costs, nursing care or to leave a legacy for your child or grandchild. And while buying a policy later in life might be the right decision for you, keep in mind that the premium rate may be higher if you wait. One of the greatest benefits of buying a whole life insurance policy at a young age is exactly that – you have the policy for your lifetime. Once you purchase the whole life policy, your rate is typically locked-in for life. That means it won’t increase over time based upon your age, health or the economy. So although there will rarely be a time when you simply can’t get life insurance due to your age, you’ll want to make sure to purchase it when it is still affordable for your budget. While there might be some times that certain companies won’t allow you to purchase life insurance due to age or the cost will become too prohibitive, you are almost never too young to buy life insurance. In fact, as mentioned above, the optimal time to purchase life insurance is when you are young and in the best health of your life. If you are a parent who has life insurance already, you may be considering a policy for your child in order to help protect his or her future. Just as is the case with you, your child is almost never too young for coverage. To sum up, there will rarely be a time in your life when you can’t get life insurance due to your age. With that said, you will want to be proactive and purchase a policy that works for you as soon as possible. If you purchase a policy earlier in your life, you’ll not only be providing financial security for your loved ones, but you’ll also be saving more money in the long run as well.